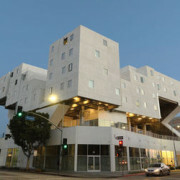 NBC Give visited Skid Row Housing Trust’s Star Apartments. 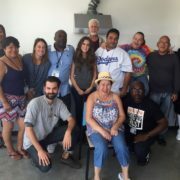 Host Laura Marano surprised staff and residents with a special gift from California Community Foundation! 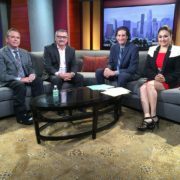 CEO Mike Alvidrez was on PBS SoCal to discuss solutions to homelessness in Los Angeles, appearing alongside Union Rescue Mission CEO Rev. Andy Bales. Should a federal health program pay to house L.A.’s homeless? 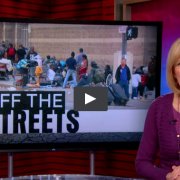 PBS Newshour: Los Angeles’ homeless residents often struggle with chronic physical and mental illnesses — health crises made worse by life on the streets. Hari Sreenivasan explores why L.A.’s health officials are pushing to provide thousands of the county’s sickest residents with permanent supportive housing through the federal Medicaid program. ABC 7 Eyewitness News: Plans for a new restaurant on L.A.’s Skid Row are hitting a snag over an application to serve beer and wine.